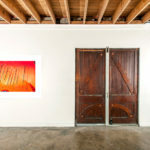 For his second solo exhibition at Lump, North Carolina-based artist Harrison Haynes employs studio-based photography to advance his abiding interest in the confluence of visual art and music. 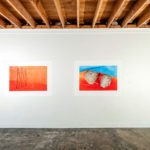 Isolated Tracks features a new group of unframed photographs tacked directly to the gallery walls. 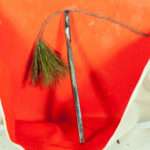 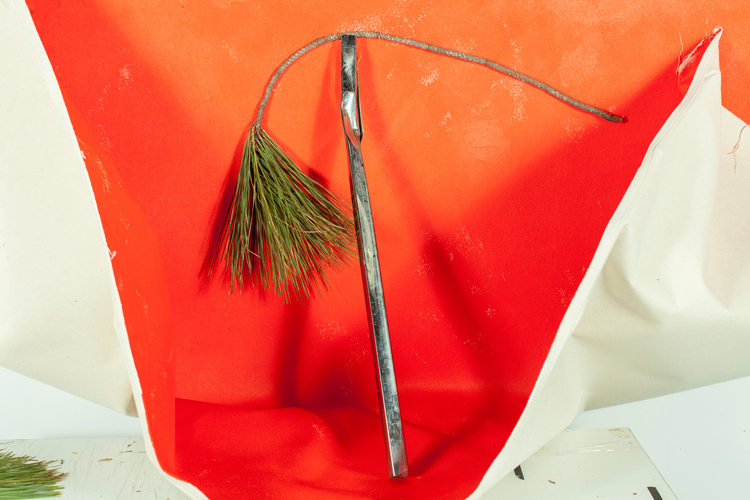 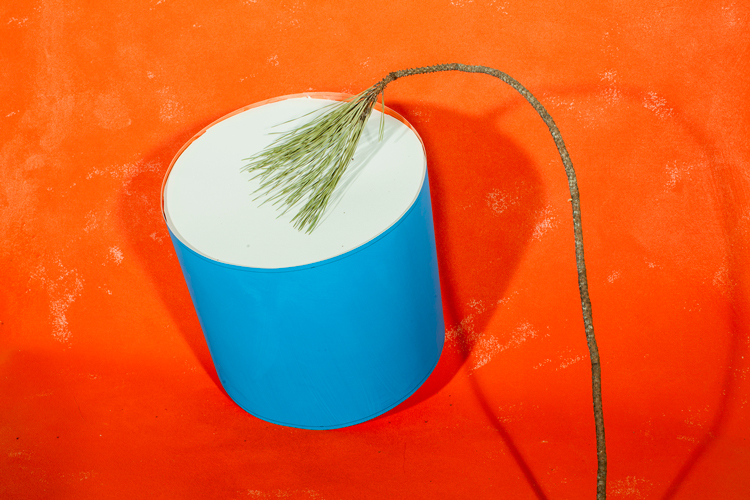 The photographs depict sculptural and still-life arrangements comprised of a variety of materials, including Mylar tape, packing tape, pine tree branches, and hornet’s nests. 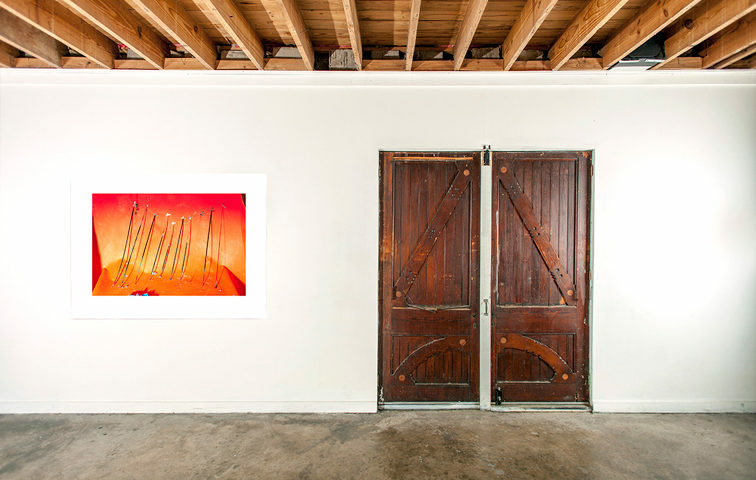 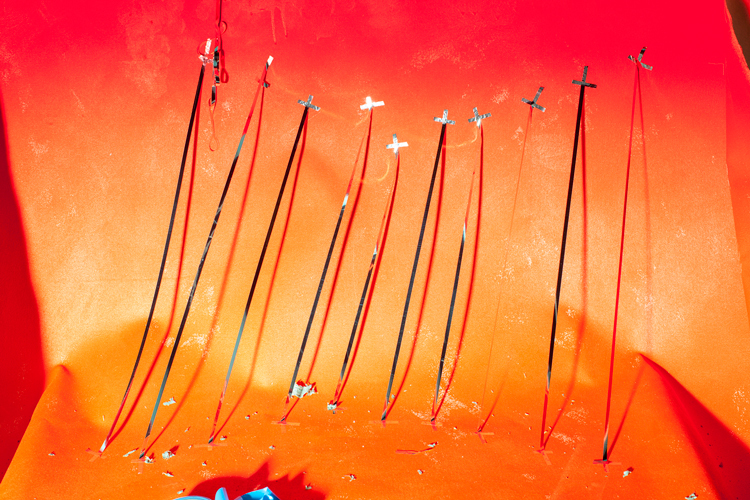 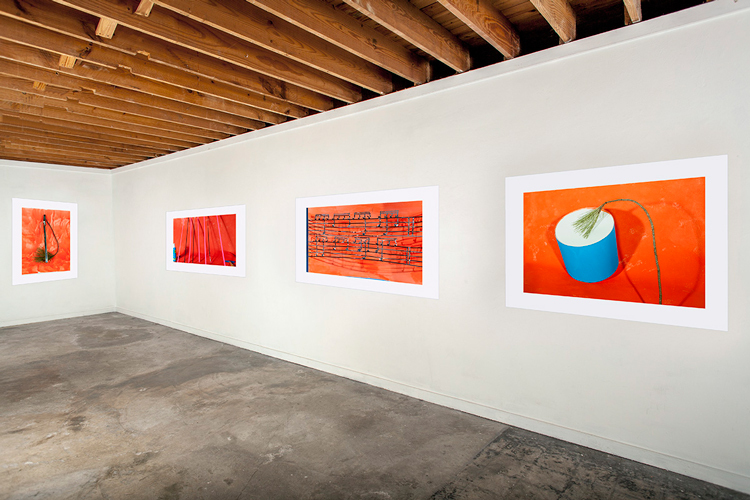 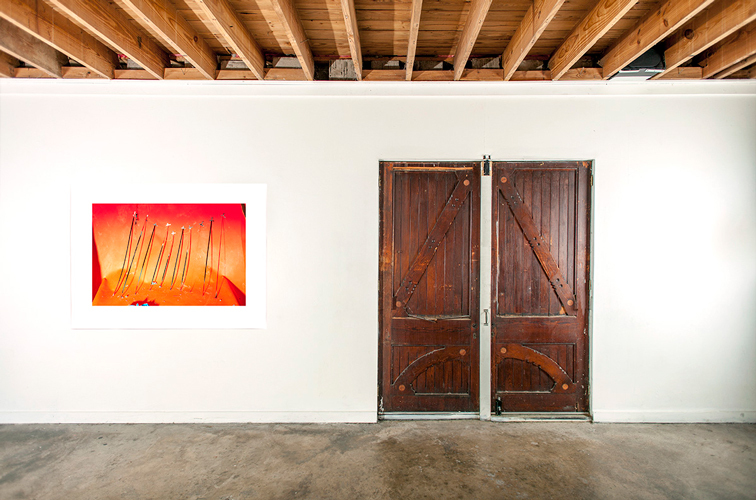 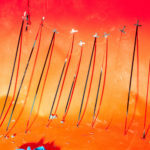 Haynes builds these displays and then photographs them in front of paper and canvas backdrops which he has hand-painted in highly saturated hues of red-orange and blue. 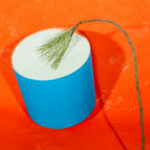 In addition to the title’s allusion to music (isolated tracks are portions of vocal or instrumental performances of well-known songs separated from the rest of their mix), references to drumming and song writing abound in Haynes’ photographs. 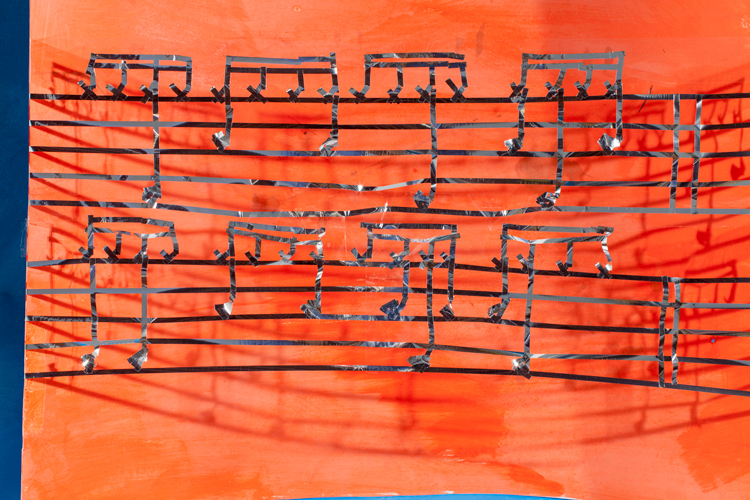 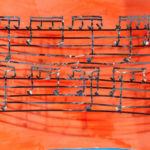 For example, one photograph titled The Funky Drummer (for Clyde Stubblefield), shows a graphic rendering of the drum notation from a James Brown song made out of adhesive tape. 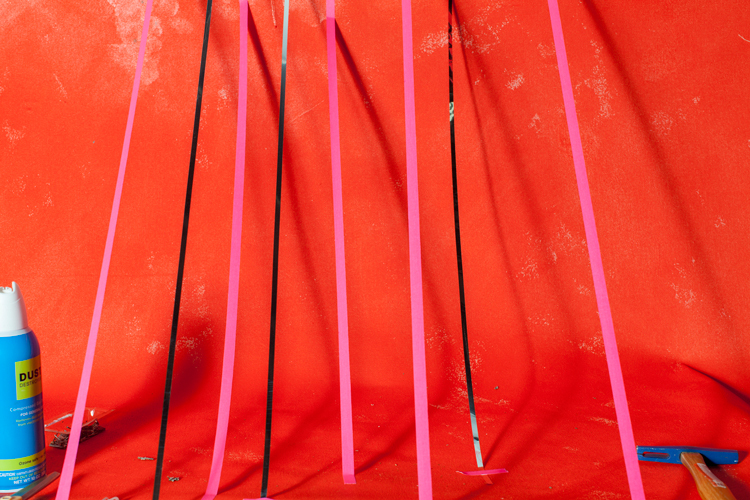 Harrison Haynes is a visual artist who has worked with photography, painting, video and performance. 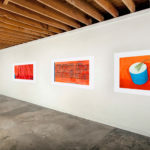 He received a BFA in Painting from the Rhode Island School of Design and an MFA in Photography from the Milton Avery Graduate School of the Arts at Bard College in New York. 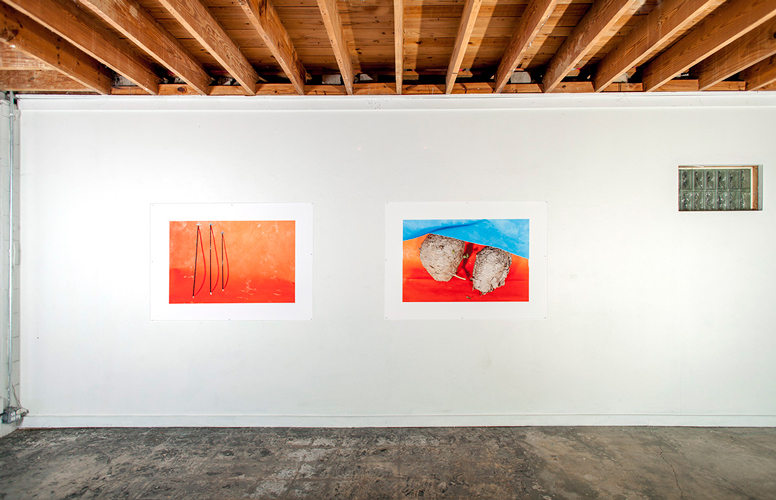 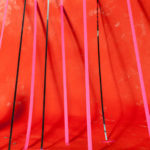 Haynes’ work has been exhibited nationally and was included in ‘Area 919’ at the Nasher Museum of Art and he is a recent recipient of a North Carolina Arts Council Artist Fellowship Grant.